"Oh my god, this woman is amazing. Officially she is walker and sitter to my dogs, but really she is like a second mom. She provides so much more than I thought I was getting when I signed up for dog walks/care. She notices when little things are off with my pooches, make recommendations on food, allergies, whatever. While I was out of town once, both dogs got very sick (an event I like to call Diarrhea-gate 2010) and Andrea immediately took them to the vet (not to mention cleaned up an awful lot of poo without complaint). She even sends me photos and videos of my dogs being adorable. Everything is just so much easier with her help. Plus Andrea lurrrves animals ("much more than people"--ha! ), and is unwaveringly devoted to their well-being. She rocks!" "Andrea has the biggest heart of any animal lover I know. She opens her home to not only her clients pets but to rescues too. She often takes on the hard to handle cases, like the hospice case of Muffin. Andrea sees each pet as an individual and recognizes their unique traits." "Andrea is wonderful with my 2 cats and 1 dog. Incredibly contentious, reliable, and thorough with her care. She's sat for my kitties when I've been out of town, and I've gotten updates and texts to calm my nervous-mother mind. Which is most appreciated! 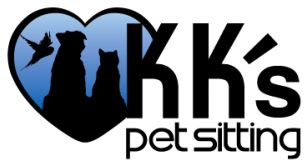 In addition to providing excellent pet sitting (cats, dogs, rabbits, whatever furry friends you have), she also opens up her home and provides boarding as well as pet sitting. Somehow, homeless animals find their way to her, and she works relentlessly to rescue animals and help them find better homes. Andrea also has provided hospice care for animals who otherwise would have no advocate. I can't think of any other qualities that I would want in someone who cares for my pets (who are my babies) that Andrea does not have. I would not hesitate to recommend her to anyone with four-legged creatures!"